Three-quarters of a century and going strong: “Tanglewood 75” will make a triumphant return to the Berkshires this summer with the customary line-up of some of the classical and jazz worlds’ brightest stars. Fireworks and gala receptions abound, but music-lovers seeking quieter thrills will be sure to find something to please as well from among the 80-plus scheduled events, tickets to which go on sale Sunday, January 29, at 10 AM (obtainable at Symphony Hall box office, tanglewood.org, or by calling 888-266-1200). 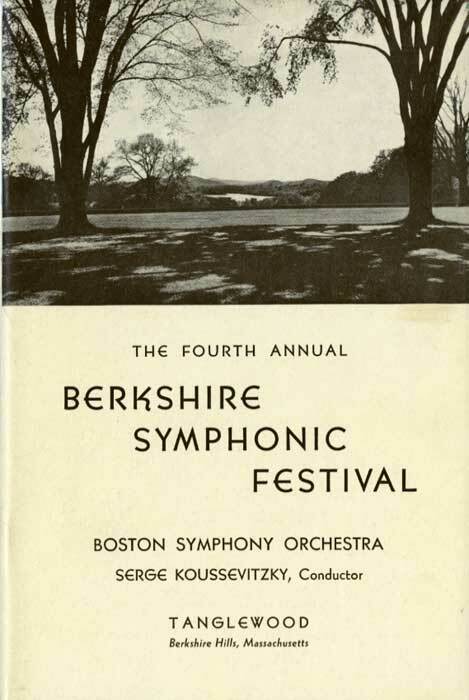 To commemorate the 75th anniversary of Tanglewood’s first season, Opening Night with the BSO on July 6th will feature a replica of an all-Beethoven program of 1937. 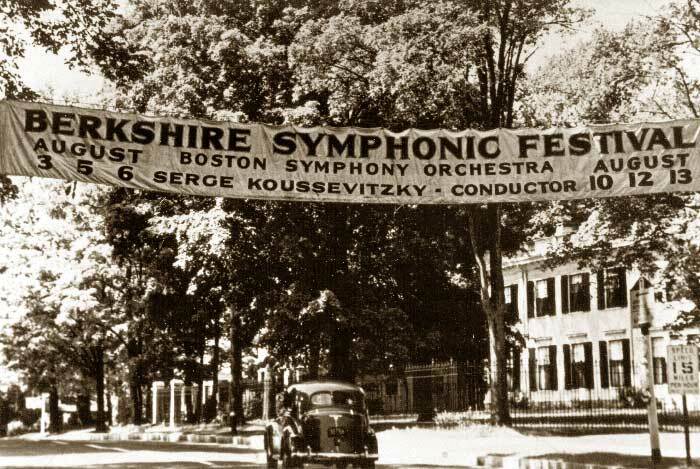 Christoph von Dohnányi will conduct this and other BSO performances throughout the summer; the orchestra will also feature celebrity soloists including Joshua Bell, Anne Sophie Mutter, Yo-Yo Ma, Emmanuel Ax, Peter Serkin, and Jean-Yves Thibaudet, among others. Other scheduled guest conductors are Andris Nelsons, Marcelo Lehninger, Charles Dutoit, Christoph Eschenbach, Loren Maazel, Kurt Masur, and John Williams, who will also be honored on August 18th in a special 80th birthday celebration. The major Anniversary Celebration will take place on July 14th with a potpourri of Americana, showpieces, and classical favorites performed by the three resident orchestras, Festival Chorus, and a gaggle of guests. Among these will be James Taylor, a Tanglewood favorite, who will also be featured with his band on the three evenings leading up to the 4th of July. Not all concerts will require hundreds of performers, however. The three-concert String Quartet Marathon returns on July 1st and 2nd, while the Emerson String Quartet will present a moderate-length program of Mozart, Beethoven, and Adès on July 5th. Baritone Gerald Finley will present a recital on August 2nd, and the young, hip Quatuor Ébène will genre-bend on August 16th. More chamber music will be offered by TMC Fellows and the BSO chamber players. Immersion-by-composer experiences are also on the slate. An all-Wagner program conducted by Asher Fisch repeats another historical program of 1937. Mozart will be bursting through the seams in two separate orchestral programs, including one of violin concerti by Mutter on July 13th. An intrepid Gerhard Oppitz will perform Brahms’s complete solo piano works in a series of four recitals, July 18th-19th and 25th-26th. Not to be left out, Bach will be represented on August 10th by a set of concerti, including Brandenburgs 3 and 5, in the able hands of members of the BSO chamber players led by Pinchas Zukerman. Tanglewood publicity advertises eight world premiers, by upstanding locals Edgar Meyer, John Harbison, Michael Gandolfi, and Gunther Schuller, as well as others to appear on the Festival of Contemporary Music taking place August 9th-13th. Renowned jazzers will take the stage as well, beginning with Diana Krall on June 23rd. Chris Botti’s stylings will fill Ozawa Hall on August 5th, followed by the Christian McBride trio on the 18th and Chick Corea with Gary Burton and the Harlem String Quartet on the 26th. The Boston Pops will also make an appearance with Broadway singer Bernadette Peters on July 8th and with Maureen McGovern and Brian Stokes Mitchell on August 24th. Opera will get its turn with Berlioz’s La Damnation de Faust on July 28th and Falla’s La vida breve — featuring Spanish singers, dancer, and guitarist. For something a bit more austere, Sequentia Ensemble will present a dramatic sung performance in Old Norse (with English supertitles) based on the medieval Icelandic Edda saga. Eclectic early-season performances will include Yo-Yo Ma’s Silk Road Ensemble on June 22nd and 24th, Mark Morris Dance Group on June 28th-29th, and Garrison Keillor in a Prairie Home Companion presentation on June 30th. 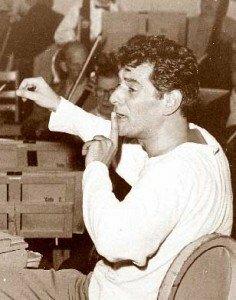 And here’s something that wasn’t part of the Tanglewood season 75 years ago: free digital streams at tanglewood.org, distributed throughout the season and featuring 75 historic performances, as well as master classes taking place at the Music Center. Tanglewood season concert listings can be found here. Zoe Kemmerling is a recent graduate of the Boston Conservatory and a freelance violist, baroque violinist, writer, and string instructor. She is also an editorial assistant for BMInt. I am highly motivated to see Tanglewood after reading this article. It is amazing how much world class musicianship will be collected in one place. This article makes me realize the incredibly high standard of excellence that Tanglewood has come to represent. Kudos to Tanglewood! I’m saddened that most of the programs are exceedingly ordinary. There are a few exceptions, but this pretty much Classical Top 40 stuff. Plus, I am increasingly alienated by the indoor video screens at the back of the Shed. There was a time when you could sit at the back of the lawn near the visitor center and see right into the stage — now, you have a videoscreen blocking the view, to say nothing of the three large screens outside and on top of the Shed. It’s become a three-ring electronic circus. *** I’m saddened that most of the programs are exceedingly ordinary. There are a few exceptions, but this pretty much Classical Top 40 stuff. I kind of agree – exceedingly anticlimactic. I did not see any concert in the program that would encourage me “certainly go” but it means nothing. If the stars come together then ANY CONCERT might turn to be a phenomenal event and even the last few summer seasons also “exceedingly ordinary” they did featured some remarkable concerts. In my view any performance of Tanglewood Music Center Orchestra has to be in a watch list and any event with Tanglewood Festival Chorus has a strong potential to be truly great. I remember 2 years back they played the Bach’s “Jesu meine freude” at the closing of the summer season and it was (from my perspective) one of the greatest BSO events over the last decade. I am definitely watching for Dutoit’s performance with them of Stravinsky’s Les Noces. Dutoit turned pages for Lukas Foss at the recording session for this at Columbia Records that Stravinsky conducted in the early 1960s, so that will be exciting. BTW, let me mark the death of Paavo Berglund a few days ago by noting that I attended his BSO debut five or six years ago, and it was a wonderful concert: Britten Violin Concerto (with Frank Peter Zimmerman) and the Sibelius 6 and 7. Tremendous. What a shame the BSO waited so long to bring him here, at the end of his career.